To those in Bangalore, Chennai and Pune, I am here doing some workshops and conferences. 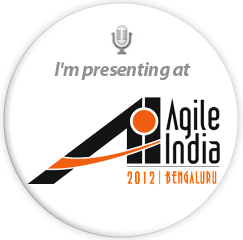 First, I am speaking at Agile India 2012. I am presenting a 90 minute workshop on Exploratory Testing the coming Sunday - 19th Feb 2012. There are about 750 registrations so far and this looks very exciting. Kudos to Naresh Jain for pulling things together. Moolya is a sponsor for Agile India 2012 but that is not why I got the speaking slot. After having consulted for projects that claim to be Agile and seeing people fit scripted testing into a two week sprint, I really want to help them. 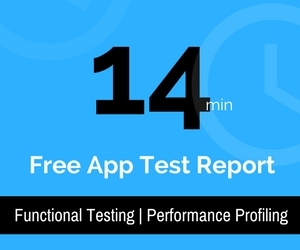 I also want to help those who are doing exploratory testing, do it better. Am hoping Agile India 2012 would help me do that. Well, of course, I'd end up learning from the participants. It is going to excited as I am going to be meeting a few people whom I met in Oredev 2011 as well as those with whom I interact online. I am invited by the senior management of a large company to present the Moolya way of testing. As of now, I can't name the company. My Dear Pune, you keep bringing me there often and I love you. This must be 12/13 workshop in Pune alone for a corporate client of Moolya. I would also be consulting a few teams to help them clear themselves of traps they may be getting into. It's so much Fun. Wanna catch up, drop me a note. I am doing a workshop and a talk. This is a conference I personally love because it is affordable for many testers. This is the third time I am invited to BugDeBug and I am probably the only speaker to have been invited all three times this conference has happened. This time it has a great line up of speakers. It has Vipul, Rahul Verma, Ashok T, and Anjan. More speakers to be announced on the website. One of the best line up according to me for India. The sweet part is, at least half a dozen testers of Moolya are going to attend this conference and participate. Moolya is a silver sponsor for BugDeBug and again that is not why they gave me a speaking slot. So catch up with me in Chennai at BugDeBug. BTW, you know who else is doing workshop? Santhosh Tuppad & Rahul Verma on Security and Performance testing respectively. As I said earlier, it is great line up. I was recently a keynote speaker at Yahoo QE conference. It was great to have been there. I love the fact that among the goodies they gave, a plant was one of them. It is now growing well in Moolya office. Thank you Yahoo! Some testers with whom I worked in the past during my employment who were now in Yahoo were surprised to see me as a keynote speaker at Yahoo conference. Apparently they were shocked but the great part was they appreciated what I had done rather than bringing in their ego. Fortunate to have worked with good heart people and unfortunate they didn't discover my blog for several years. I am starting to call this talk., "The next generation tester" a legendary one :) Somehow, everybody wants this talk. I mock so much at the current generation testers (in as humorous as I can get) in this talk. So, that's about speaking to at least 1000+ testers in a month. Why wouldn't my life be good? Catch up with me anywhere you are. Drop a note. Figure out my mail id. It is not that hard if you are reading my blog. Register for my Public workshop in Chennai. Pradeep, our second meeting is long overdue on my part. Now as you have made your plans public....I hope to catch you in one of the places. Bug-deBug looks good. Hope to meet you there. Looking forward to being of value. Yes, you are right. Long overdue and dont make it go beyond this. Where in Pune? If you are close to Hinjewadi, then we can meet up on 25th morning, that is if you are free. Yes, the client location is in Hinjewadi. I shall give you details if you email me and we could catch up for a short time. I may likely be staying in Aundh and maybe if you are around there, we could catch up in the evening. All looks good, I'll see if I can attend any of those next year and if my company will finance this. Nice tips.